Erin holding her Horsey, a gift from Mary Ellen Mark, at a theme park in the early 1980s. Photograph by Mary Ellen Mark. 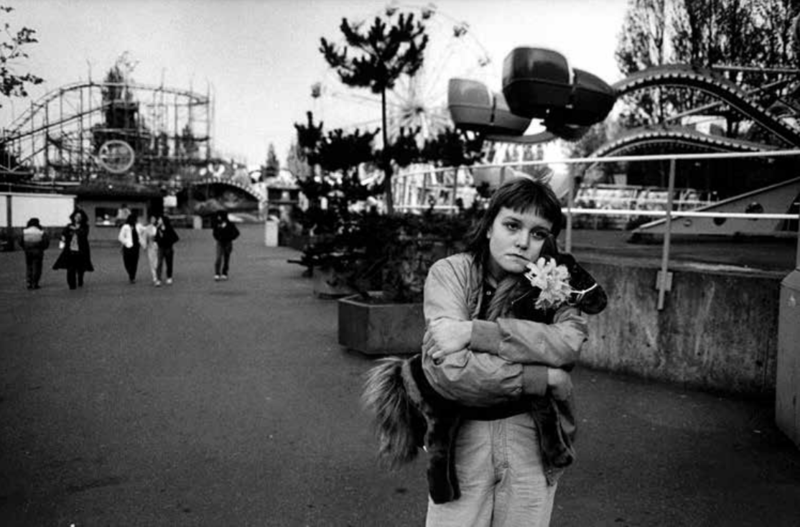 Over three decades, Mary Ellen Mark and Martin Bell documented the life of Erin Blackwell. She'd left home at the age of 13 and started living on the streets of downtown Seattle. 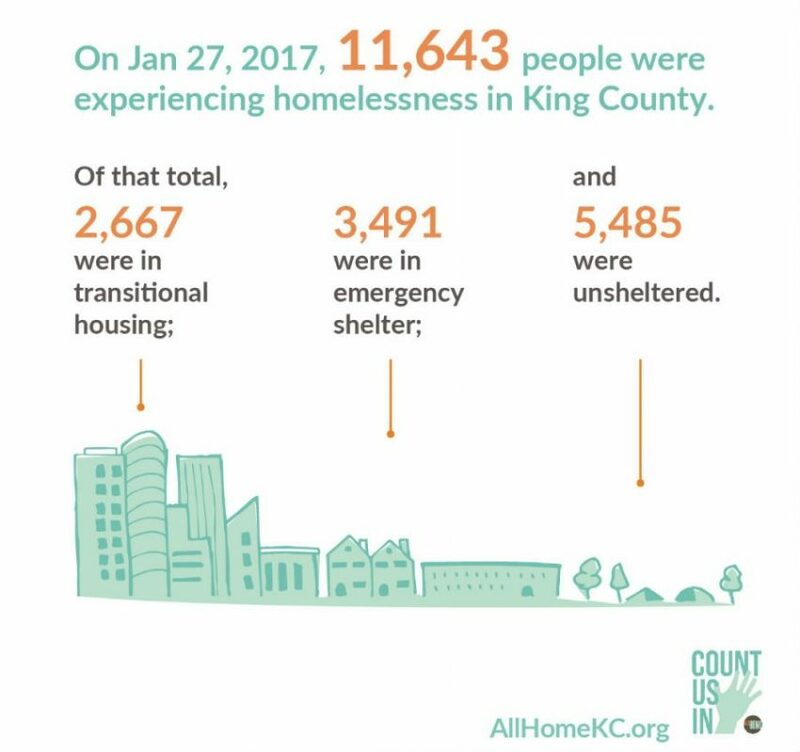 A photo exhibit and two films featuring her story can help us understand the many issues surrounding homelessness -- including the reality that it’s hard to navigate life without stable housing, a caring family, or strong social support. Firesteel volunteer Peggy Liao reflects on the "Streetwise Revisited" project, and invites you to join "Create Change," an interactive day of art, inspiration and civic engagement this Saturday. 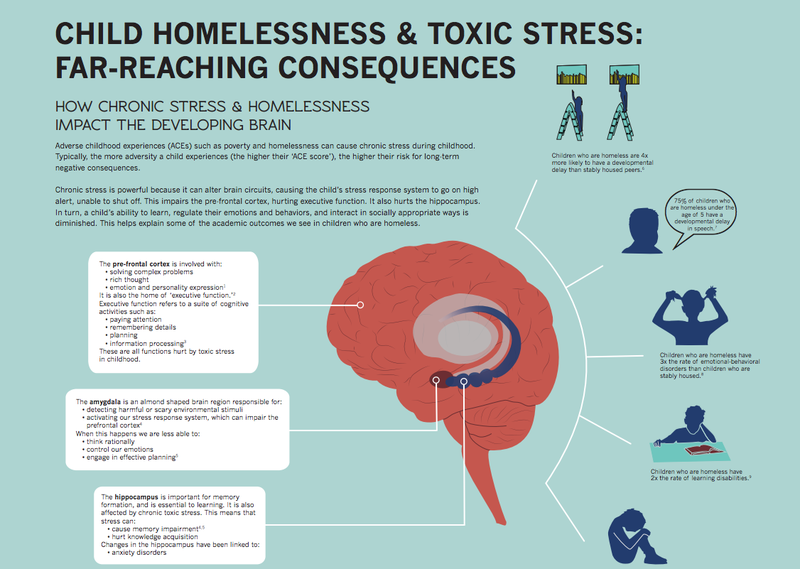 Once just an infographic, this research on child homelessness and toxic stress is now a full-fledged professional development class at Seattle University this summer for school and social-service professionals. See the full infographic here. 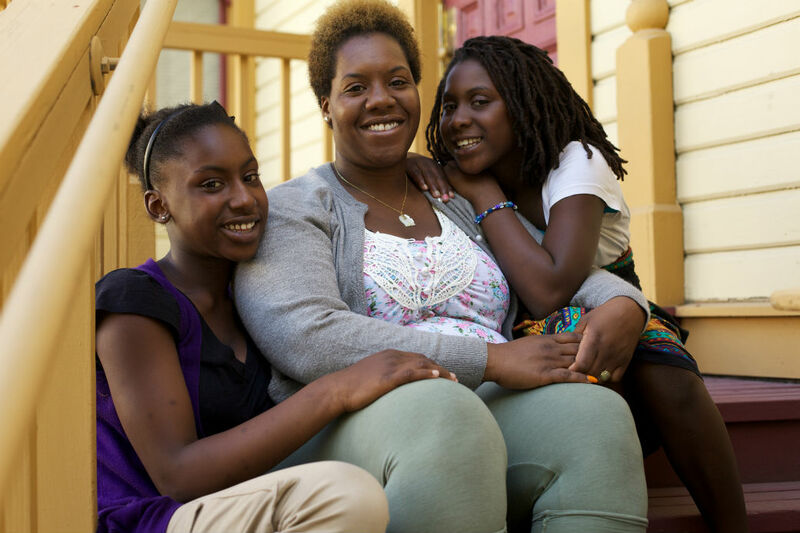 School psychologist Perry Firth has graced this blog many times with her research on the effects of child homelessness. Soon she'll share her insights with educators and service providers through a new professional development course she'll teach at Seattle University. Here, Perry writes about her motivations for teaching this course, and reminds us that, no matter our profession, we can all take steps to help end homelessness.